Wearable tech is finding a comfortable home in the 'day out' experience, and we've already seen some interesting applications that give us reason to think these types of temporary, dedicated devices are only going to get more popular. Just by virtue of being on your body, wearable tech can provide benefits that other technology, such as our smartphones, cannot. By making them a feature of live events, attractions and vacations, organisers can both streamline the experience and change the way you interact with the environment. In the last week we've seen Disney's new MagicBand 2, an update to its existing park wearable. Visitors at Walt Disney World Resort in Florida can use the RFID band to get entry to the park, open their hotel room and use it for Fastpass+, letting them make reservations for rides and attractions. There's already a Beauty and the Beast edition and - I'm sure - a few more themed bands on the way. One of them is. Universal Orlando also revealed its TapuTapu wearables that guests will be able to use at its new Volcano Bay water park to virtually wait in queue and interact with "totems" around the park. TapuTapu feeds information back to the user, giving it an edge over Disney's offering, and if it's a success could pave the way for more interactive types of these devices in the future. So is it just theme parks? Nope. 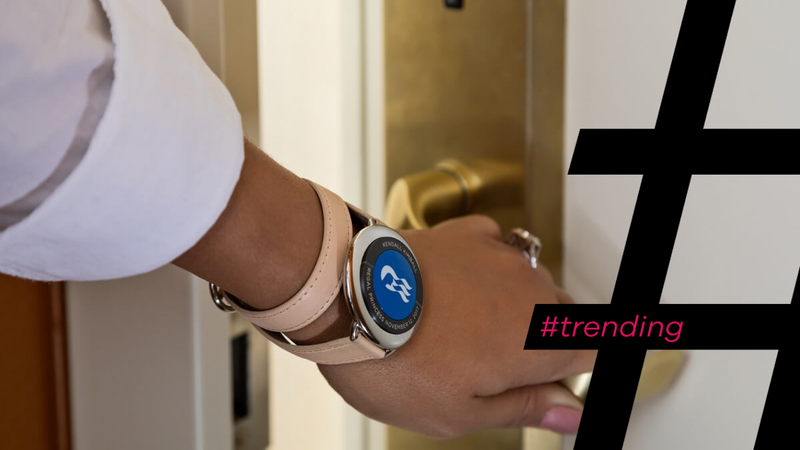 Cruise line company Carnival recently announced its Ocean Medallion wearable (pictured above) which will let guests check in for restaurant reservations, unlock their cabin doors, find friends and family around the ship, and make cashless payments. Again, it's about taking some of the frictions out of the whole experience. Several reasons, really. First, not everyone has one, especially younger children - which is obviously of particular significance at theme parks like Disney World. And even if you do have a phone on you, chances are you'll need to download an app - and of course make sure you don't run out of battery. Second, it requires a lot less attention from guests. Just simply put the band on and tap it where you need to; no need to worry about charging or opening apps. There's much less risk of losing it too. Smartphones will undoubtedly continue to play a part in these situations, but wearables are helping to speed up the experience and make it more personalised to the user. What about all this VR stuff? Keen observation there. Yes virtual reality has already made its way into theme parks, from Derren Brown's Ghost Train to the Madame Tussauds Ghostbusters Experience. And we expect that trend is only going to get bigger, even more so now that IMAX is rolling out its virtual reality cinemas. However, as awesome as it is, VR is the attraction itself, while the wearables mentioned above concern how guests experience the park as a whole. Perhaps it won't just be dedicated wearables we see making their way into these attractions; more companies may look to make popular devices like the Apple Watch and Fitbit devices more useful for visitors too. We saw a bunch of hotel chains, including Starwood, announce door unlocking apps for the Apple Watch shortly after its launch. Yes and no. Of course, in order for wearables - dedicated or not - to be useful, the infrastructure must also be in place. We expect to see more attractions and events that build around connected systems, and more event-based wearables appear. Music festivals, perhaps VIP or family areas, seem another good fit. After all, if it makes a day out or family trip easier for everyone, why wouldn't you?